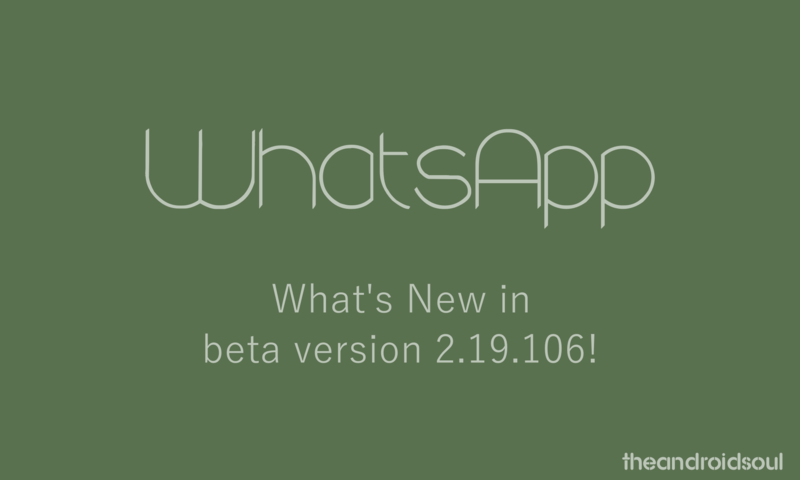 WhatsApp has released a new update under the beta program, coming in as version 2.19.106. The new update brings along two new cool features, one of which is available to the users right off the bat, while the other one — and more exciting but albeit controversial one — is still under testing at large is not available to the users. Thanks to some digging by WABetaInfo, we know of the feature. 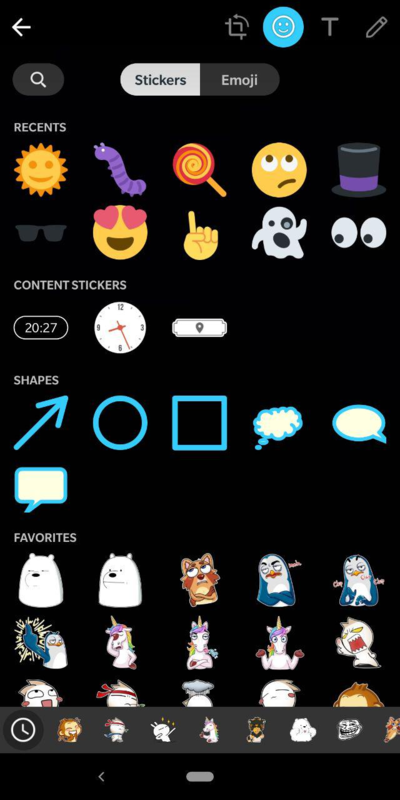 First up, you have a new UI in the WhatsApp Doodle screen that now presents the Stickers and Emojis is different tabs. Stickers have further been categorized by the type of stickers and a new tab called “Favorites” has also been added where you can mark your most used stickers and find them instantaneously. Even better, you can now even search for the doodles in the app to help you easily decorate your pictures, GIFs, and videos. Next up is the ability to add fingerprint security. 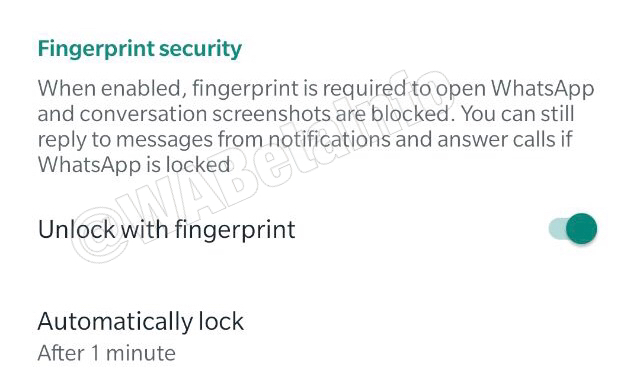 Filed under the Authentication head naturally, the WhatsApp app will now let you require a fingerprint unlock as the method to unlock and open the app. And that also brings us to blocking screenshots in the WhatsApp app. But here’s a twist. When you use the fingerprint security, you don’t get to block the other users from capturing the screen, rather it’s you who can’t take a screenshot anymore. This means you will have to choose between adding fingerprint as an authentication feature to WhatsApp or using the chat screenshot feature. You will not be allowed to use both. As of now, we are not sure why this “either-or” way was chosen by WhatsApp for these two features, but we would let you know how this pans out when the feature is released for the public. As it’s in testing, it’s easily possible that WhatsApp may alter its design.